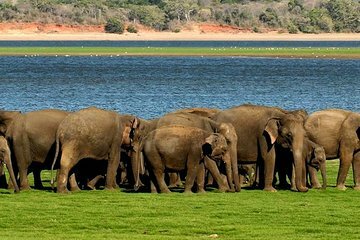 Forget public transport or negotiating with cab drivers, and visit two top Sri Lanka sights in one day on this private full-day tour from Colombo. Travel by private vehicle to Minneriya National Park and enjoy a 4x4 safari, during which you might spot elephants and other wildlife. Later, travel to Sigiriya Rock, a UNESCO World Heritage Site, and explore the fortress as your guide shares its history.